If you’ve worshipped here at St. Luke’s on Christmas morning any time in the last few years, then you might remember that 1.) I vastly prefer Christmas Day to Christmas Eve and 2.) I have a tendency to bring poems on Christmas morning. Christmas Eve is lovely, don’t get me wrong, but it’s kind of like “Death by Chocolate” cake: Christmas carols and candlelight And angel choruses AND the baby Jesus. There’s so much heaped onto that one night, and then all the memories of every Christmas Eve ever. It’s a lot to live up to. But Christmas morning brings all the catharsis of any good morning after. By the clear light of day we can mull over the previous night’s events, try and put them in sequence, and see if we can make any sense out of them. the enigma of glass into the spacious light. to have vanished in the nest of cloth. 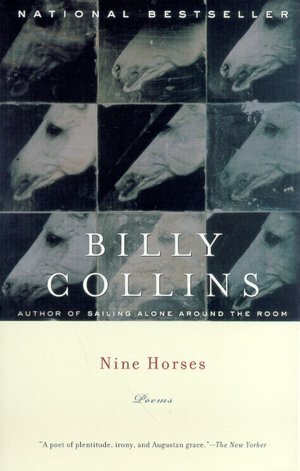 The poet, Billy Collins, gives us an image we all know that captures a sensation I suspect we’ve all felt — the panic of a bird, or a bat, or any wild thing trapped inside and trying to get free. Perhaps you know something about the tenacity of a soul trapped, frantic, beating its wings uselessly against a glass pane, while on the other side of the window life goes by filled with free people who seem to have learned a secret you are still deciphering. The bird senses the light and longs for it, and even more, the bird longs to be free and to soar unfettered toward the light, but instead it tosses its body against the glass time and time again, unable to comprehend all that stands between the fear of the present and the promise of the future. For too much of our Christian history we have read those verses as a condemnation of the children of Israel, as an indictment of the Jewish people, for not accepting Christ as the messiah, as the savior, when he came into the world. How foolish of us! As if any of us really has accepted the salvation God has offered in Christ Jesus. As if any of us has stopped beating our wings, or our heads, against the glass. As if any of us truly believes that God’s salvation comes to us as evidence of God’s goodness and not our own. When I read, “he came to what was his own, and his own people did not accept him,” I understand that passage to mean that in Christ, God came to a people so terrorized by the cruelty of the world, so occupied as nation, so frantic to be free that they could not perceive their liberation in the form in which it was presented. Collins says, “on a chair, I trapped its pulsations in a shirt and got it to the door.” How brief and benign. Maybe you’ve been tasked with catching the wild animal that’s gotten trapped in your house, and you know how fiercely it will fight, how expertly it will flee, as you work to set it free. Aren’t we like that? So determined to break through the glass, to get to the light on the other side, that we scarcely notice when the light has broken through to us. These words, in particular, sound a word of grace for any of us who awoke this Christmas morning with something other than joy in their hearts. We too, sometimes, can feel as though the trees, and the ornaments, and the entire season of Christmas casts a shadow so deep we get lost in it. The wild bird doesn’t want to make its home in the decorated holiday tree, it wants to escape the house and make its nest in the holly bush outside. Break forth together into singing, you wild souls; for God has comforted God’s own people. God has set the caged bird free to burst into its element which is light, and life, and liberation.